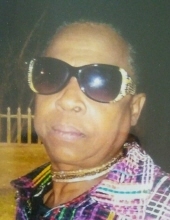 Gloria Jean Williams, 56, of 700 Vicksboro Rd. Died February 8, 2019 at her residence. She was born In Franklin, NC to Joe and Martha Alston Williams. A funeral service will be held at 2 pm, Saturday, February 16 in the chapel of Davis-Royster Funeral Service. Viewing will be from noon to 6 pm, Friday, February 15 in the funeral home chapel. To send flowers or a remembrance gift to the family of Gloria Jean Williams, please visit our Tribute Store. "Email Address" would like to share the life celebration of Gloria Jean Williams. Click on the "link" to go to share a favorite memory or leave a condolence message for the family.